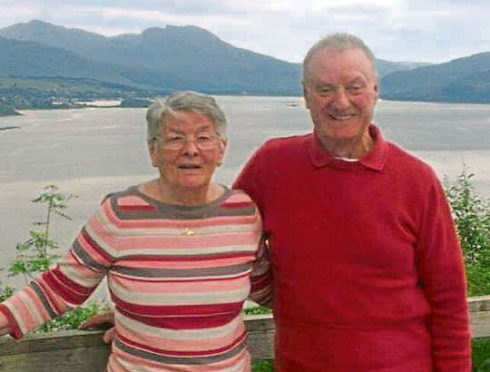 Mary Allan, more affectionately known as Molly, had visited the TSB bank on King Street and was crossing the road when she was fatally struck by a heavy goods vehicle on Monday. The 83-year-old has since been described as a “well kent” member of the Bridge of Don community. Last night her daughter, Donna Emslie, said the whole family was “devastated” and still “in shock”. Mrs Emslie, of Dyce, said: “My mum was so well known around Seaton and Bridge of Don. Her and my dad have lived here their whole lives and were regulars in the British Legion. She was very well kent. “Her whole life was her family. We would go round there every week, we had just been there on Sunday and had the usual family catch up. “We are all absolutely heartbroken – I don’t know what we are going to do without her. “She was the centre of our family – anyone who knew her would say she was larger than life – she would do anything for anybody – she never really thought about herself. No one has been charged in relation to the incident, but police confirmed they are still investigating and urged anyone who witnessed the accident to come forward. Mrs Emslie said her mum had “just popped to the bank” when the incident took place, and that she had been chatting to her niece, who works at the branch. “The police found mum’s bank card at the scene and went over there to ask if anyone knew her,” said Mrs Emslie. “My cousin knew straight away it was her aunty Molly. They closed the branch for the rest of the day, out of respect. Mrs Allan is survived by her husband, Ian, their three children, Ian, Paul and Donna, three grandchildren and one great-grandchild.